Oh, Final Fantasy. All the memories I have of playing these games throughout my life borders on insanity. I have mentioned before that the Final Fantasy series is one of my all-time favourite franchises, and for good reason. The epic music that accompanies every game is always a highlight and the colourful cast of characters that the player gets so attached to. Better yet, the countless villains whose powers are directly proportional to how outlandish their hair is. I could go on and on about these games, so I thought that I would make a list of my personal top 6 favourite. It was hard to narrow this hugely successful and influential series down to just 6, but I’ve done it, so let’s get started. I remember buying this a few weeks after a bought my DS console back in the day. Although this may not be high up on many other people’s lists, but it’s here for me because it was the very first Final Fantasy game I ever played and is what started my love for the series. Its story was simple and its combat a traditional turn-based system, yet its tone, music and mechanics got me hooked instantly. The job system was easy to understand and use and allowed for countless strategies and team compositions. When I first played it, it was the toughest video game I’d played up to that point and I loved it for that. Another game I played on the DS and it wasn’t long after 3. There was a much clearer focus on storytelling and characters this time around whilst also turning up the difficulty. There were genuinely upsetting moments, such as when Palom and Porom sacrifice themselves to save everyone else. I was not expecting myself to cry, but I did, and it was a welcome surprise. Its combat changed to an active time battle system which heightened the stress and urgency of some of the later battles. It was overall a more mature narrative to 3 and showed the series wasn’t afraid to make changes and be a little darker. The entry with the most troubled development that does show in the final product, but it still remains a highlight of the series for me. With arguably the biggest change the series has ever gone with, becoming an open-world action RPG. While it did divide fans, for me it felt like a natural progression for the series. Although it could have used another year in development, the final product was still good entry that proved the franchise was still relevant today. Its combat was fun, fast-paced and frantic. The world and mythos were interesting but could have been expanded on and used more throughout the game, while the story was engaging and ended in such a poignant way, despite some pacing issues. Overall, although there were clearly issues with the game, why it is high up on my list is the fact that it took the most chances and ended up being one of the most memorable in the series. I enjoyed my time with it and the ambitious vision was clear too see and slightly disappointing it was never fully realised. Now, please don’t click away hear me out, I know what you’re thinking “how is this so high up on the list?”. I loved this game so much, I even liked the sequels despite Lighting returns including one of my most hated features, a time limit. However, 13 in particular was such a well-made game and was unapologetically linear by design. Whenever I hear people complain that 13 was too linear, I laugh, as nearly every Final Fantasy game is linear. The only difference is 13 doesn’t try to hide it behind empty traversal sections between points A and B. And just like every other Final Fantasy game, it opens up in the last third of the story. Most of the characters were likeable (except Hope, he can go run in front of an adamantoise), particularly Lighting, Fang and Sazh. Lighting is like a much better version of Cloud, starts off stoic and unlikeable, but unlike Cloud, develops into a strong character that I care about till the end. Its combat was fast-paced and very strategic, needing to keep you on your toes to switch paradigm at crucial moments. The story was interesting, engaging and easy to understand the majority of the time, finishing with one of the best endings and oddly appropriate songs of any of the games in the series (What made Square Enix decide on having a Leona Lewis song for the finale). The only PS1 era game on this list (partly as I never played 8 and I’m not a fan of 7), 9 is everything that Final Fantasy is to me. One of the best soundtracks of the series, some of the best characters such as the Black Mage Vivi, and the clueless Knight Steiner. It’s a brilliantly put together game with a gripping plot that has none of the major pacing issues that I experienced in 7. When I played this during a summer between school years, I couldn’t stop playing it, I was completely hooked by the narrative and plight of Zidane and co. It perhaps helped that the series went back to its medieval fantasy roots instead of a more futuristic setting, whilst also having such well written and loveable heroes. One of the best written character developments was the gradual growth and respect garnered between Zidane and Steiner, to see how far the relationship between these two characters developed is incredible yet subtle. The humour was spot on and hardly ever went too far into excessive. I could go on about this, but I’ve made it clear the reasons behind its place on my list. Final Fantasy 10 was everything that 9 was, but with Blitzball and the best summoning mechanic in the entire franchise. Seriously, Blitzball perhaps remains the very best side-activity ever added to a game in the history of video games, with Gwent in the Witcher 3 being a close second. If anyone tells me or you, they don’t like Blitzball, cut them out of your life, you don’t need that kind of negativity. The summoning of aeons was genius in design and I’m glad a similar feature made it into 13. The combat went back to a more slow-paced style that for me, is one of the best versions in the franchise. The story was dramatic, heart wrenching and featured one of the least awkward and most realistic laughing scenes ever created. All jokes aside, Final Fantasy 10 was a masterpiece and remains one of my favourite games of all time. Whenever I hear the song ‘To Zanarkand’, I’m transported to Spira and all the nostalgia and memories of the game flood back in and make me want to play it all over again. What are your favourite Final Fantasy games, did you agree or hate me for not heaping praise on 7, let me know in the comments down below? 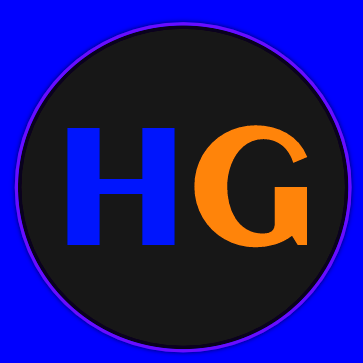 For all things gaming, stay tuned to this blog and perhaps look at some of my other posts. Thanks for reading. My favorite still stands at Final Fantasy 7 personally. I bonded so much with my brother and friends with that game scouring our strategy guides, playing the game til the timer just stopped running. No hate on you for not having 7 on your list. It is your personal Favorite list. Great read!